The method was originally developed for Motorola devices, and hence the name “Motochopper”. It is to be noted that the technique is quite simple and will work for Windows, Linux, or OSX. You can check out the complete guide right after the jump. So, lets not waste any more time and get started! This guide below will get you rooted in no time. Make sure that your phone’s battery is charged up to a minimum of 75%. This is a requirement so that the entire process can be completed without any power outrage. Make sure to backup all your data including SMS (using SMS Backup & Restore), apps (using Titanium Backup application), personal data, video, pictures, etc. You must have the latest Samsung USB drivers installed on your Computer. Also, create a nandroid backup of your current ROM. There is an easy way to do this through Orange Backup application. Disclaimer: Rooting will void your warranty so, don’t root unless you know what you are doing. However, you can claim warranty anytime, after unrooting the phone. There is an easy way to do that through Universal Unroot application. Neither we nor the developer is responsible in case of any data loss or firmware issues caused by following this tutorial. Do it at your own risk! First, you will need to download the following exploit to begin with this procedure. We recommend that you carefully follow ALL the steps to successfully root your Galaxy S4. Now let’s begin! Step 1: First, you need to extract “Motochopper.zip” to a preferred folder (for example, in your downloads folder). You can extract the zip file using WinRAR or 7zip. Note: If you are using Windows, ensure you have installed the latest Samsung USB drivers available for your Galaxy S4. Note: USB debugging is usually disabled by default on every Android phone and tablet. Step 2: Enable USB Debugging mode on your device. How? –> How to Enable USB Debugging On Android Devices Running Jelly Bean. Step 3: Next, connect your device to your computer using a good USB cable (preferably stock). Step 4: If you are using Windows, navigate to the folder where you extracted “Motochopper.zip” in step 1 and execute “run.bat” (and skip step 5). Step 5: If you are using Linux or OS X, navigate to the extracted directory in a terminal and execute “./run.sh”. 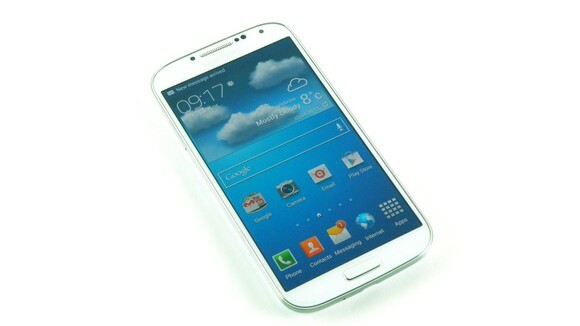 Step 6: Last, you will need to approve the ADB connection from your computer on your Galaxy S4. Note: As always, future OTA updates may remove the ability to regain root access, so you may need to proceed with caution when updating your firmware. That’s all folks! If you have any queries regarding this guide feel free to leave a comment below. We’ll try our best to help you out.